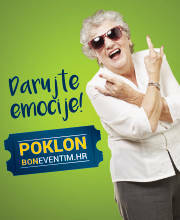 Buy tickets for Nina Badrić at Eventim. There are no Fan Reports yet written for Nina Badrić. Be the first to write a review and share your experience with others. She started her solo carrier in 1990’s and her song “Ja za ljubav neću moliti” took her to the top of music charts. Soon, she recorder her second album “Personality” and won “Porin”. In 1998, with her song cover “I am so excited”, she became the first Croatian musician of younger generation who got to the top of several European music charts. The high point her carrier was a big solo concert held on 2.14.2005. in Dom sportova, Zagreb. The concert also supported UNICEF’s campaign for orphans. 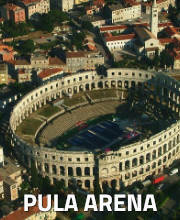 In the year 2012, she represented Croatia at the Eurosong. 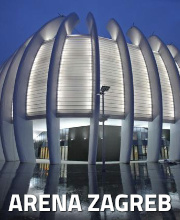 After the Eurosong, she started her big tour and visited the biggest concert halls in the region, such as Beogradska Arena, KC Dražen Petrović and Zetra. She has recorded 8 studio albums, several live albums, singles and duets. She has won 8 Porin and other music awards.